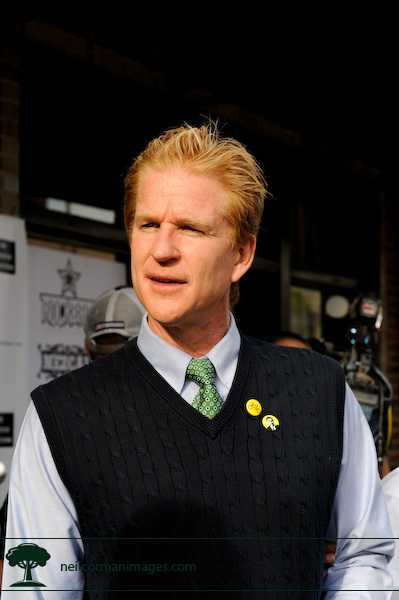 Matthew Modine was spotted at a couple of events which were sponsored by The Creative Coalition when the Democratic National Convention was in Denver this past month. In some of the images you can see him with a button or tag with a bicycle logo, which is for Bicycle for a Day taking place on September 20th in New York City and other locations. 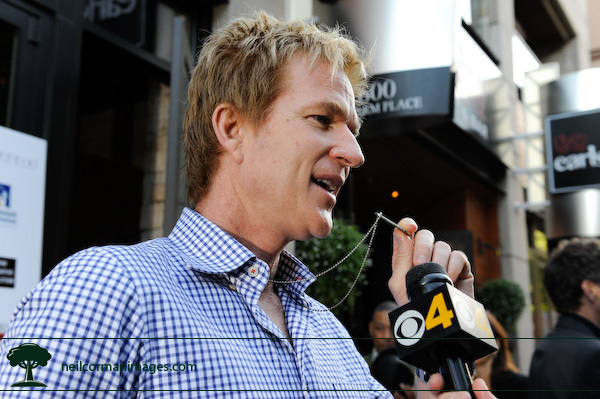 Matthew Modine explains the Bicycle for a Day dogtag he is wearing to the local media. 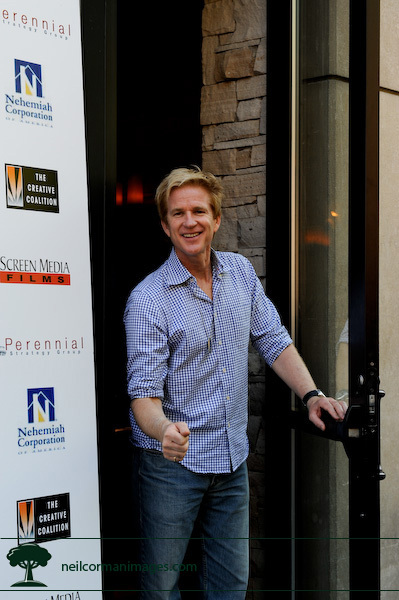 Matthew Modine peaks out during the Creative Coalition event at Earl’s on the 16th Street Mall.